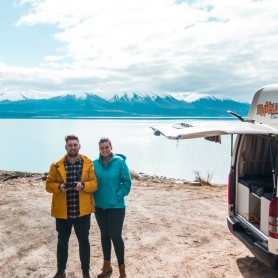 Campervan Hire Adventure is Good for Your Soul – Find Out How? Do you dream of disconnecting and getting back to a simpler pace of life? It doesn’t have to be a dream. 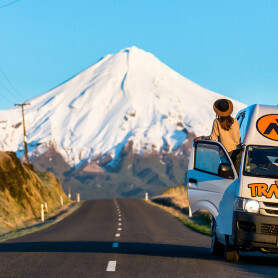 With a campervan hire, you can embark on the ultimate New Zealand adventure. 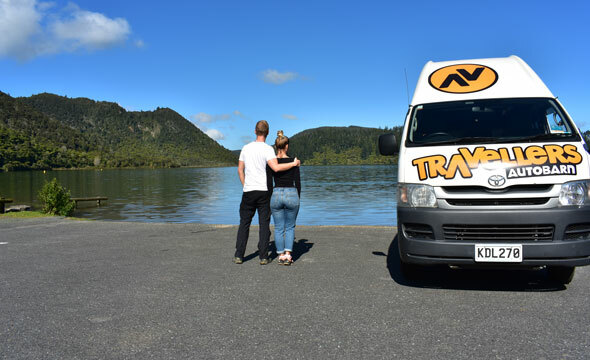 Not only will a campervan hire trip allow you to see some of the most beautiful spots in New Zealand, it can also help you reset. The modern world is full of stress and activity, but you have the opportunity to spend a few weeks making your own schedule. Stress has become a constant in life. The modern world offers convenience, and in return, an escalation in stress. Recent studies have found that workplace stress is rising, finding that six in 10 workers in significant global economies experienced increased workplace stress. Stress isn’t a result of just the workplace. Relationships with mates, friends and family are a huge source of stress. That’s nothing new, but think about how much the world has changed in just the last 10 years. With social media and the ability to be connected 24/7, people are over-stimulated and bombarded with information. Consider these startling stats: 84 percent of mobile phone users claim they can’t go a day without their advice. Mobile device owners check their phones approximately every six and a half minutes. Does this sound like you? If so, it’s time for a break! 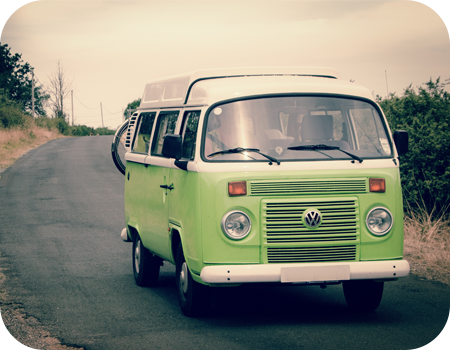 With a campervan hire, you can get set up and on the road with ease. 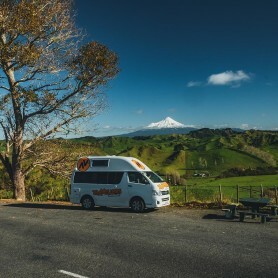 Depending on the number in your party and how long you plan to stay, you can find the right campervan hire for your trip. 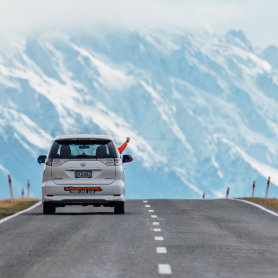 The beauty of being on the road in New Zealand is that most areas are readily accessible. This makes it great for a self-drive. When you have control of your trip, you won’t have to deal with stress and anxiety related to trains or tour coaches. Plus, you won’t have to contend with any other travellers. Taking a tour of the country should be the perfect chance to power down. A holiday should be stress-free not stressful. 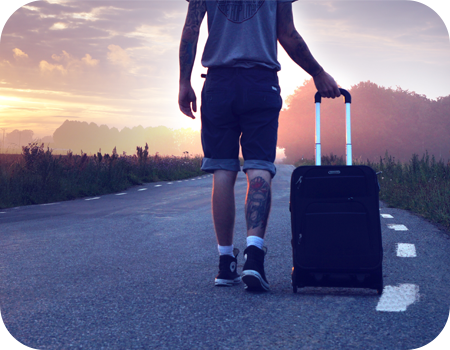 Once you depart from Auckland or Christchurch, you’ll begin to leave the city behind. You can expect to travel for long stretches and not see anyone. Can you imagine walking out your front door today and having that experience? Just the great outdoors, the open road, and you. Because roads are well maintained and easy to navigate, you’ll be able to drive along the coastline, taking in the beauty of the beaches. From there, you’ll find yourself in ancient forests with views of snow-capped mountains. From the beach to snow to glacier-fed lakes, New Zealand packs so much into a relatively small island. It’s a once-in-a-lifetime occasion to take in the serenity of the natural world, where the only use for your phone is as a camera. Many may have the erroneous view that happiness only comes from living in the modern world with access to entertainment and the finer things in life. Well, what if you could tell them they were wrong? 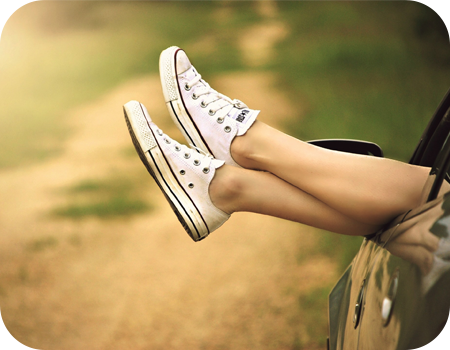 That the secret to a happy life can be found on a campervan hire experience? You may find that what really makes you happy is time with a significant other, best mate or just yourself watching the sun rise and set. Navigating your way through the many wonders of New Zealand is easier than you think. With Travellers Autobarn, we’ve got a variety of vehicles for your trip, including station wagons and campers. While the modern world won’t slow down for you, you can certainly create your own pace. Start planning your journey today.